Send targeted and personalized texts to your contacts. 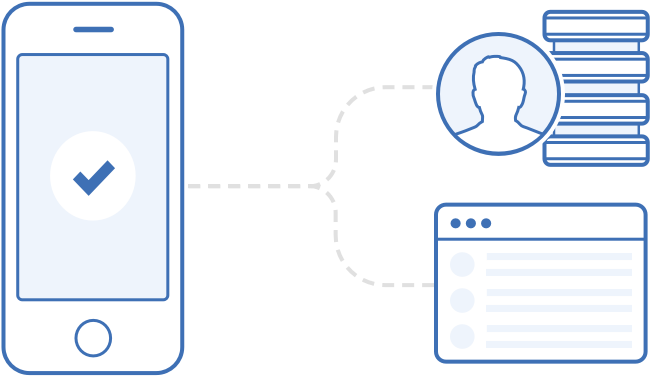 Add automated SMS sending to your automation work flows and send follow ups to your contacts, notify sales agents, and more. Define the exact delivery time schedule so that you send at the optimal day and time. 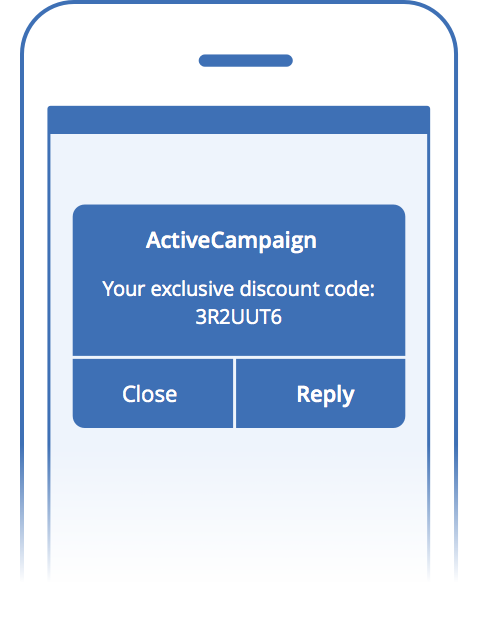 Promote your phone number and allow users to subscribe to your campaigns via SMS. They simply text a phone number and receive a text message back asking for their email address. When the contact replies they are added as a contact. Import your contacts with phone numbers or import phone numbers and manually manage your existing contacts. Create and integrate forms into your website and applications to request phone numbers to be used in your campaigns. Pricing for SMS sending is affordable and easy. Small Business plans get 25 free credits per month and Enterprise plans get 1,000 free credits per month. Additional credits can be purchased in bulk. 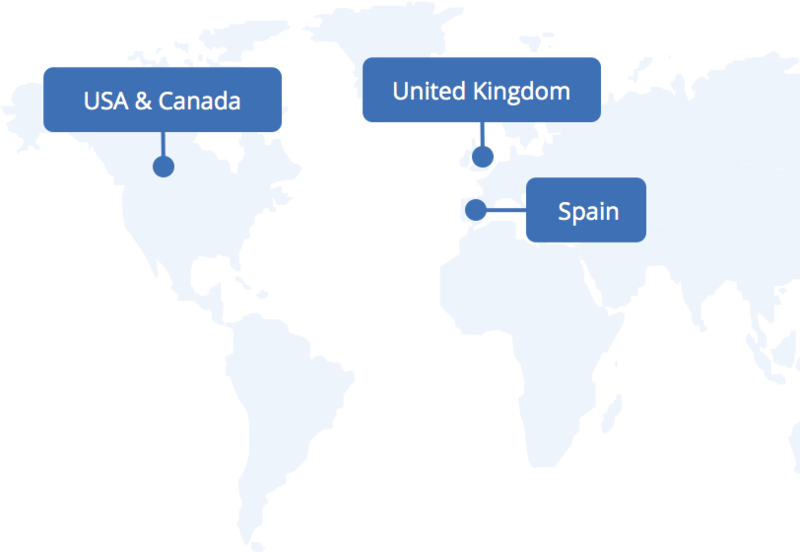 SMS sending is available for the United States, Canada, United Kingdom, Australia, Germany, Mexico, and Spain. 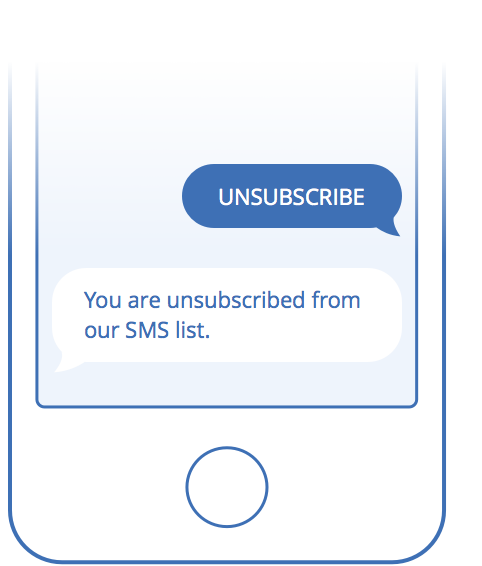 If anyone wishes to stop receiving SMS messages they can simply reply with “STOP” or “UNSUBSCRIBE” at any time and they will automatically be excluded from future messages.